Each student is expected to comply with the studio policies and follow dress codes. Please mark names in dance shoes. Personal property is the sole responsibility of the students. Personal items of value should not be left in dressing rooms or the hallway, cubbies are provided in each studio for dancers to store personal items. 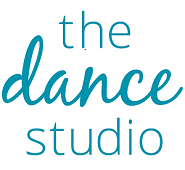 The Dance Studio is not responsible for injuries or accidents which might occur while on the premises. All Pre-K1 and Pre-K2 dancers must be a minimum of 3 years old at the start of dance, and must be potty trained. Tuition is due your first class of every month. A late fee of $10 will be applied if tuition is not received by the 10th of the month. If you have an outstanding balance, your registration will not be accepted until the balance is paid in full. Summer Dance Camps must be paid in full to guarantee enrollment. (After July 1st the entire Summer Dance Camp payment is non-refundable) To set up automatic tuition please call the office. Dancers are expected to attend classes regularly. Please call or email the office if a class is going to be missed. If a ballet technique class is missed it is mandatory that it is made up. (check with the office for appropriate class and time) If a performance class is missed between September and February it can be made up in any similar grade level/style. Please call the office to reserve a make-up spot in performance and technique classes. There are no make-up options for performance classes between March and June. Proper dance attire enables the student to participate fully in class and to maintain a disciplined attitude toward her/his studies. Combo classes must have ballet and tap shoes, leotard, tights, and any appropriate dance accessories. Ballet classes must wear leotards, tights, ballet shoes and have hair in a bun. Lyrical, jazz, and tap must wear leotards, tights, appropriate shoes, and have hair pulled off the face. Hip hop does not need leotard and tights, but must have appropriate fitness wear and inside sneakers or jazz shoes. No street shoes on the dance floors, no dance shoes on the street-for dancers and parents. The Dance Studio parking lot is DROP-OFF ONLY Monday-Friday from 3-5:30pm. (this does not apply to summer dance camps) This is for the safety of our dancers as we have so many classes going on during these times. Drivers may find on-street parking nearby. Please do not park in any surrounding business lots as they are private.